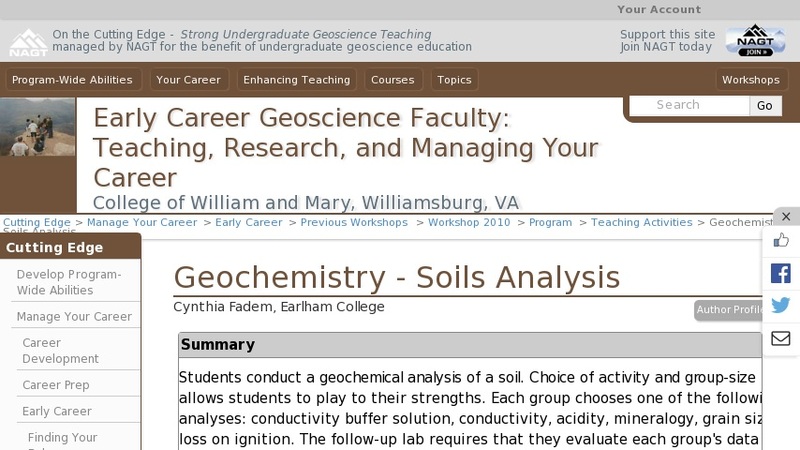 Students conduct a geochemical analysis of a soil. Each group chooses one of the following analyses: conductivity buffer solution, conductivity, acidity, mineralogy, grain size, or loss on ignition. As this lab falls somewhere between the middle and end of the course, students are versed in various chemical methods. This lab reinforces those skills while forcing students to organize their time and be patient with each other while conducting careful lab science. The samples used for this lab were from a Bronze-Age archaeological site in Kazakhstan, but any samples could be substituted. To encourage free-thinking concerning their representations (and interpretations in the follow-up lab), as little background information as possible was given.